Heavily criticised photo-sharing app Instagram has come under fire again, this time for a bug in its latest update. The latest version of the app is receiving one-star reviews from disgruntled users. "Danwolfe" sums up the gripe in his review: "For anyone using a private album, don't download the update," he writes. "The 'Photos are Private' switch turns itself off with this update and when you attempt to change it back, switches itself off again. Deleted the app and re-downloaded, problem persists." Instagram has acknowledged the problem, but says users' photos will stay private if they selected the option. The issue is just with what the switch says, apparently. Instagram is working on a fix, it says. But still, it seems it can't do any right at the moment. The update brings a new filter, called Mayfair, and 25 new languages. It supports Facebook iOS 6, and it sees the return of the option to share photos from any album, instead of just the camera roll. 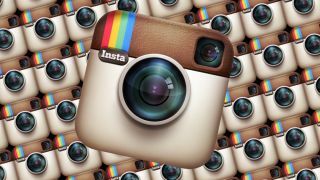 Instagram recently caused uproar with changes to its terms. It initially said it would reserve the right to sell users' photos to advertisers, and keep the money for itself. Then it reneged. But that doesn't mean adverts won't show up on the app. For some it's too late. National Geographic has already suspended its account. And look - Kim Kardashian is rumoured to be upset about it as well, and is considering leaving. Things don't get much worse than that.